Description: The buildinng faces south and the Supreme Court is located on the second floor of the Judicial wing of the State Capitol on the east side of the central tower. 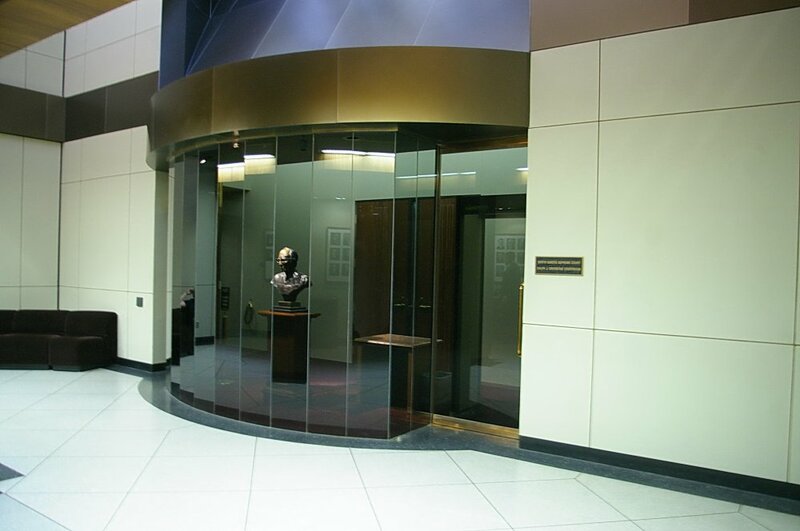 The Supreme Court portal hallway has mahogany and cream-colored travertine. 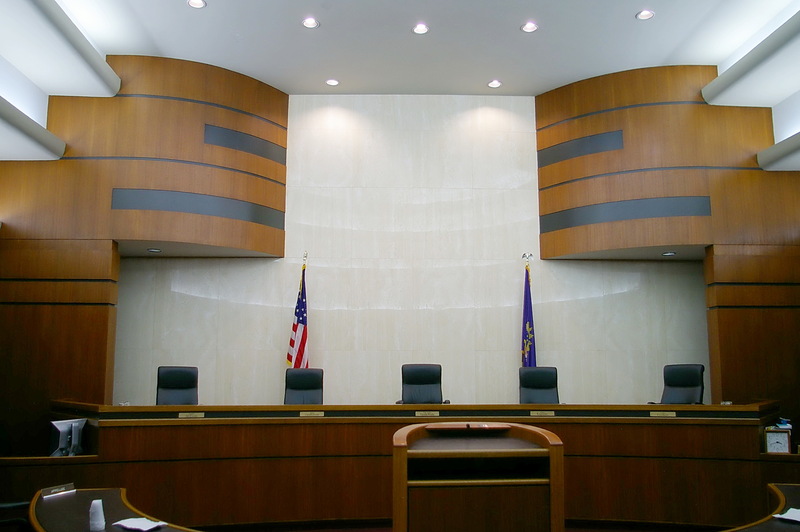 The Supreme Court Chamber has a ribbon of African mahogany woodwork and dark wool wall fabric. 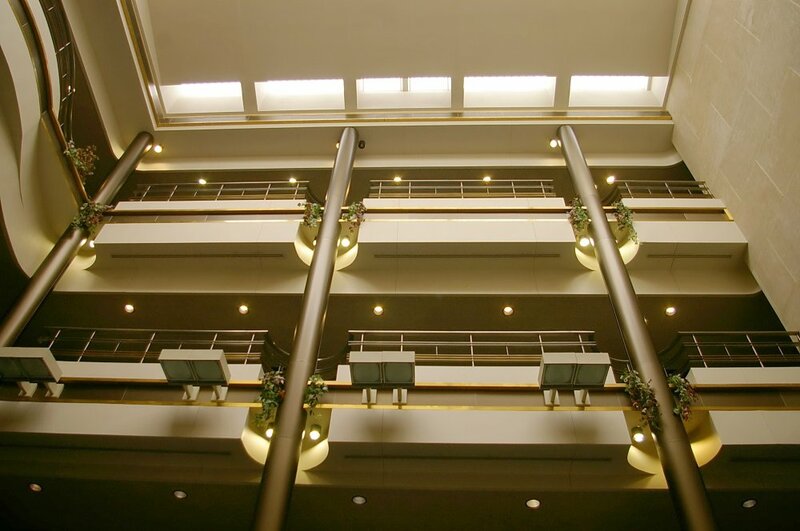 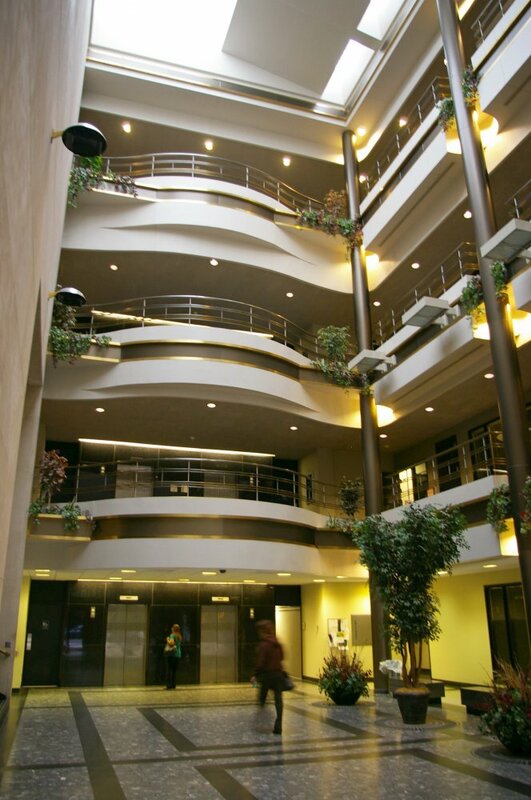 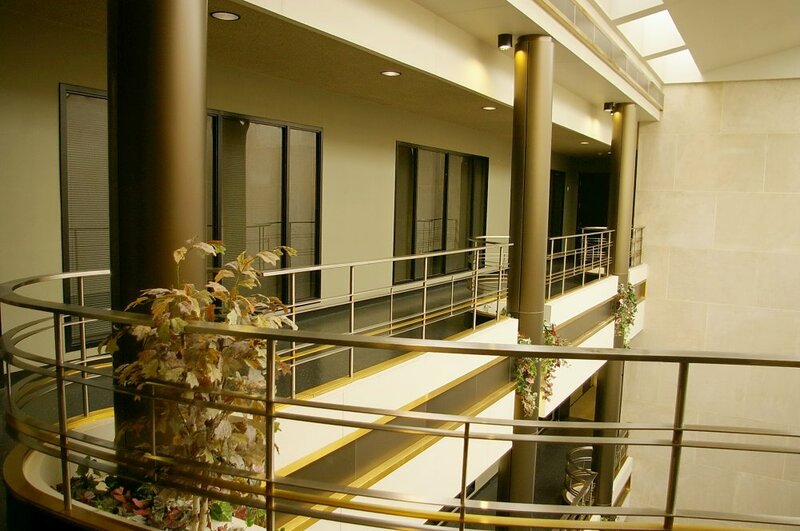 The skylight four story atrium entrance, lined with curving bronze and stainless steel railings of the open balconies, links the Judicial wing and the State Office Building. 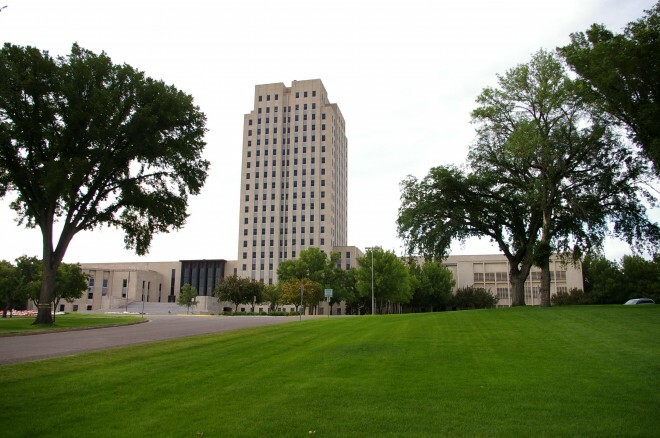 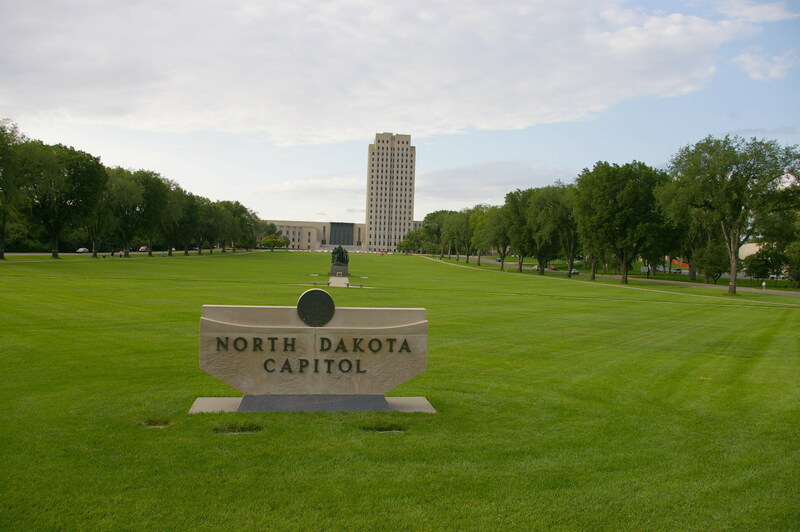 The State Capitol was started September 5, 1933 when the corner stone was laid, and the building was completed in 1934 and occupied in January 1935. 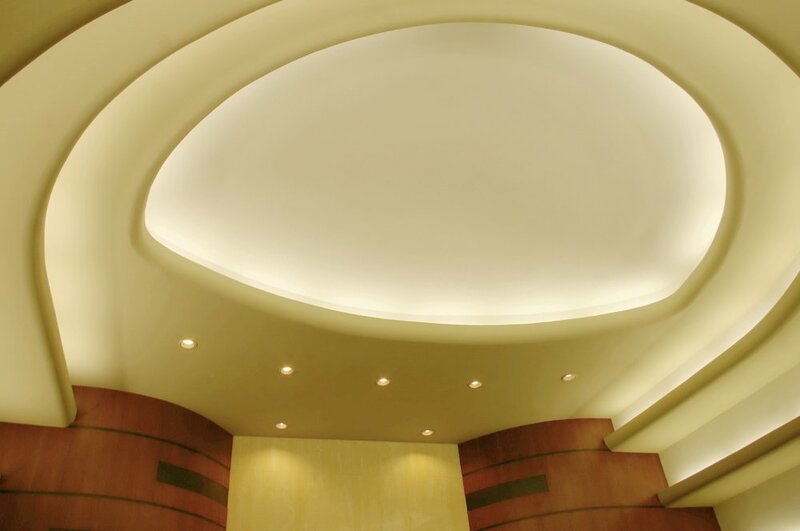 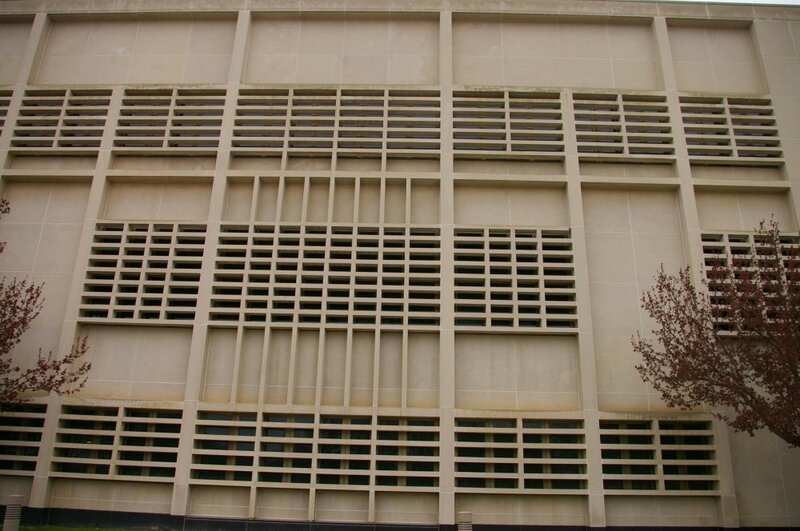 The architect was Joseph Bell DeRemer and William F Kurke of Fargo and John A Holabird and John W Root of Holabird and Root of Chicago and the contractor was Lundoff-Bicknell Co of Chicago. 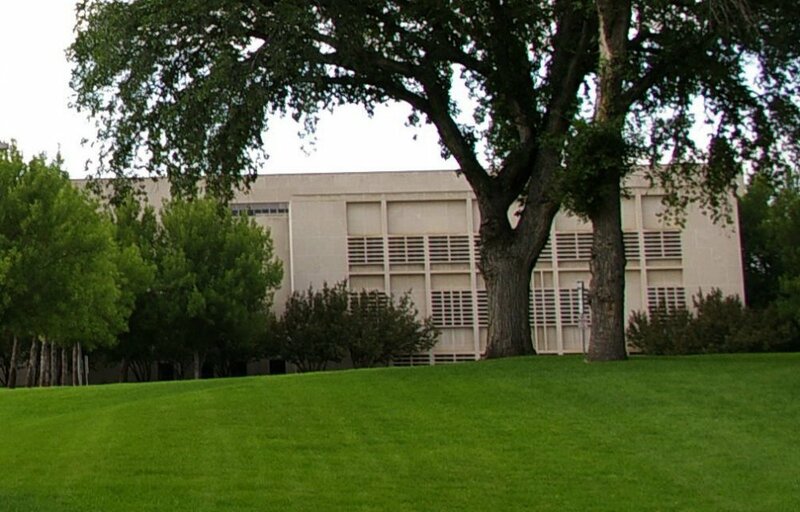 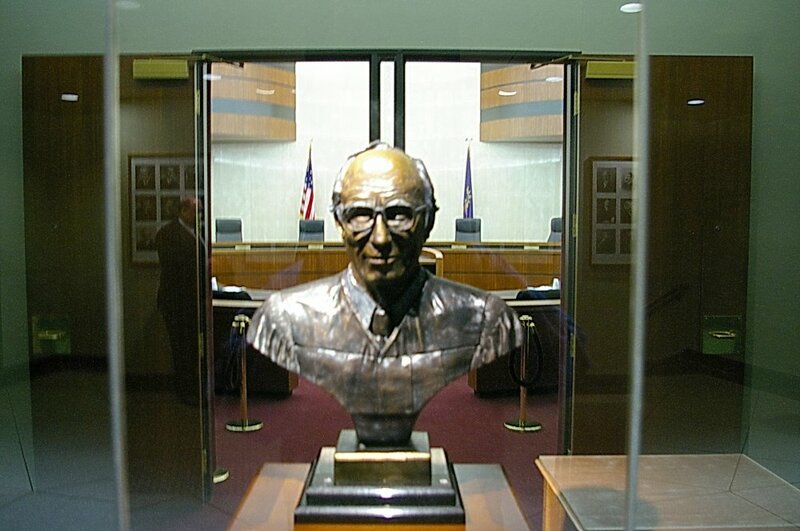 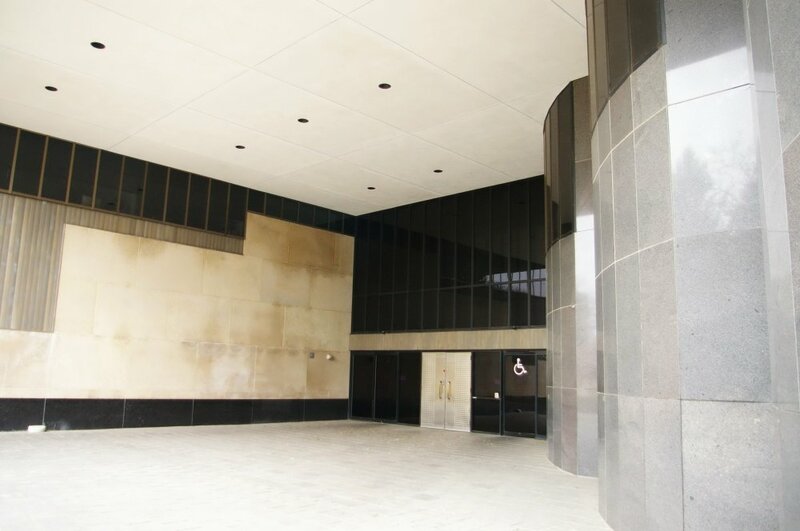 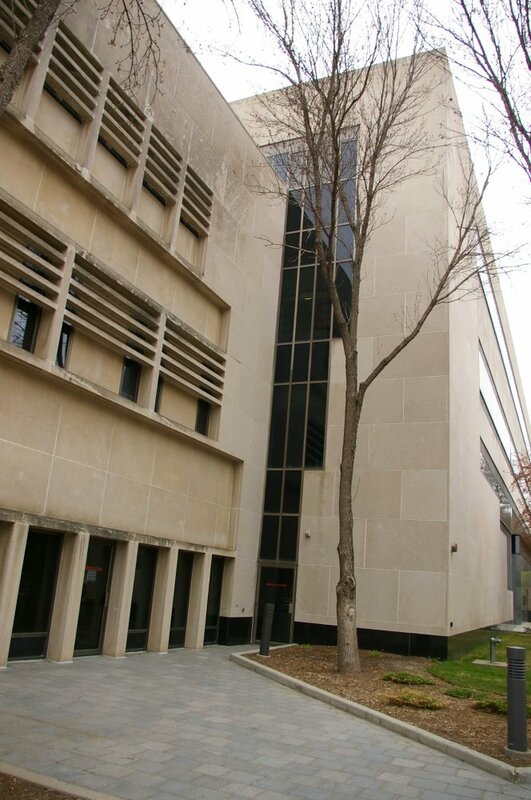 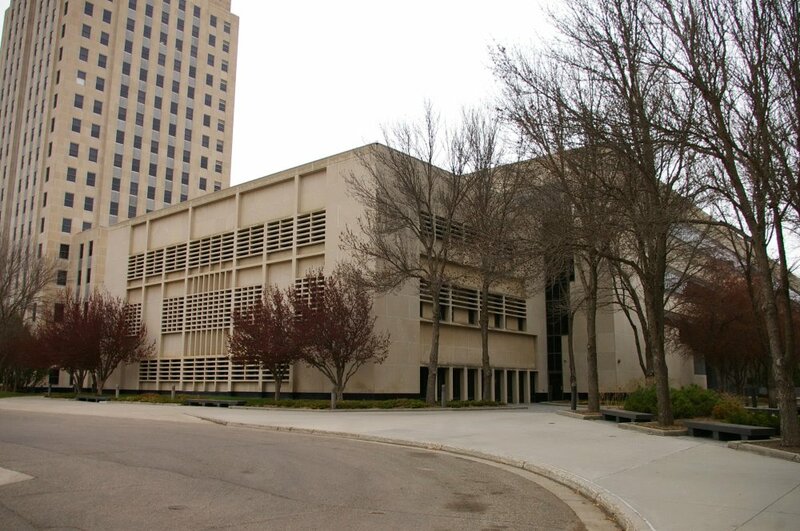 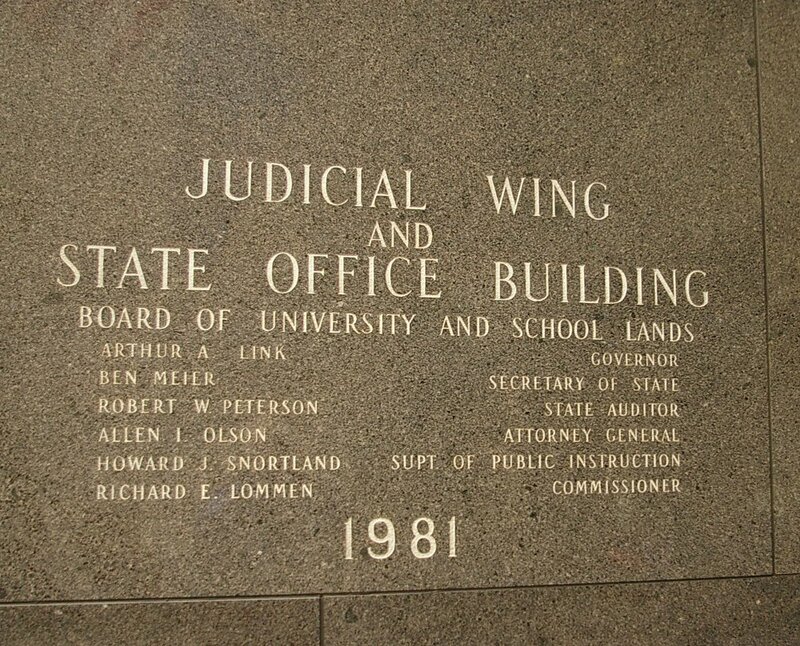 In 1981, the Judicial wing, to the east, was completed to house the offices of the Supreme Court and the Supreme Court Library, as well as the offices of the State Highway Patrol, Secretary of State, Departments of Health and Human Services, and Central Date Processing. 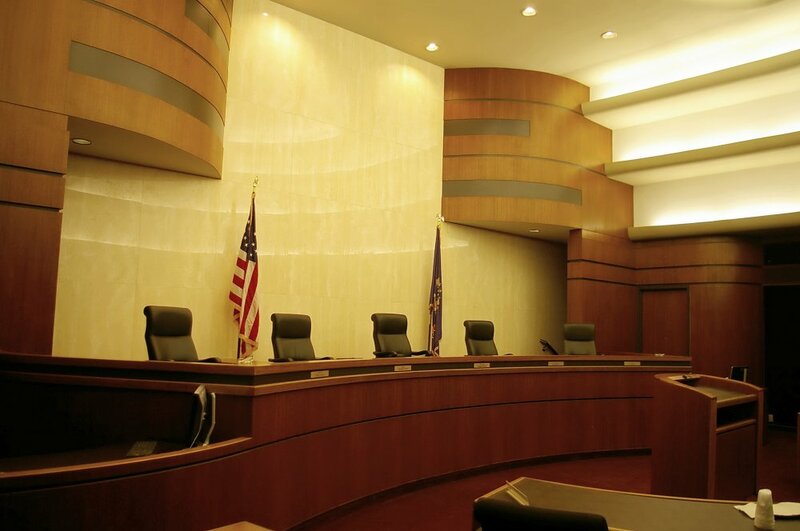 See: The Supreme Court is located in Burleigh County.